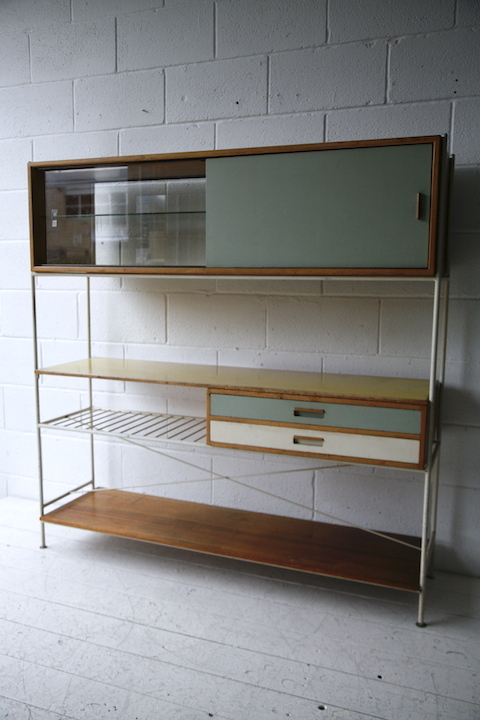 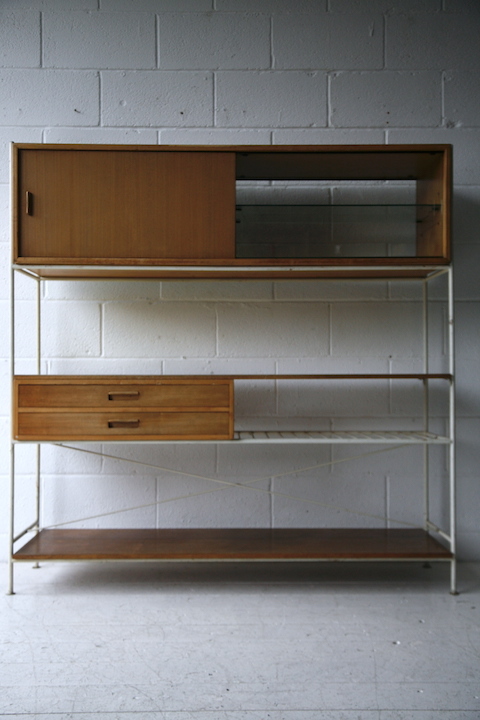 An extremely rare 1950s room divider / cabinet. 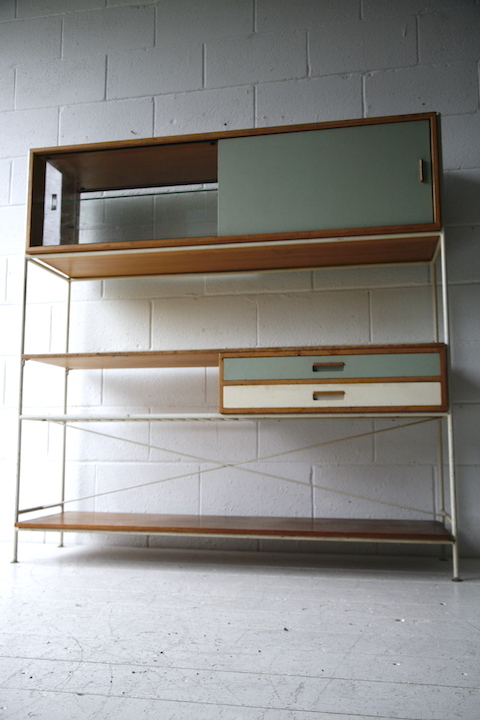 Designed by Frank Guille for Kandya UK. 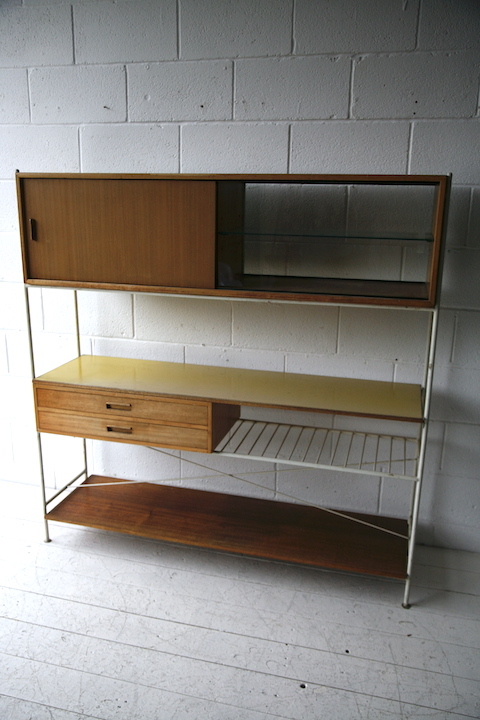 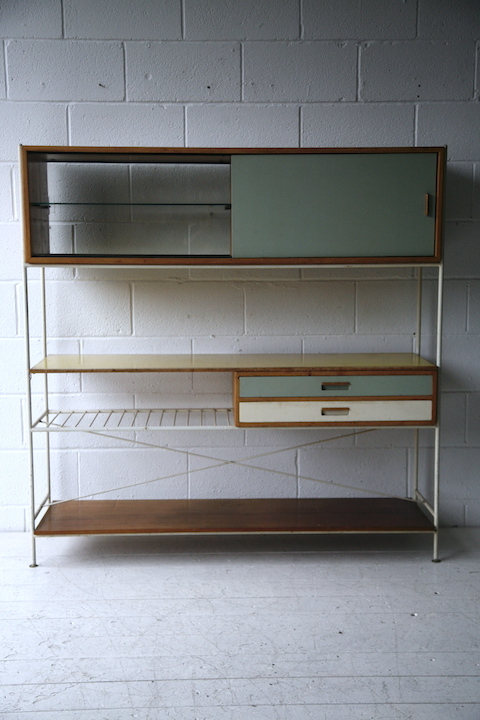 With beech framed, yellow formica surface, white painted steel frame, a sliding door cabinet and 2 drawers. 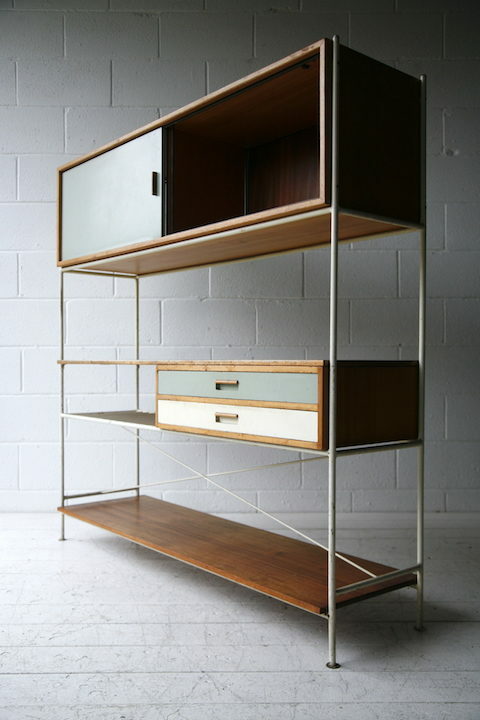 The cabinet is double sided and can act as a room divider. 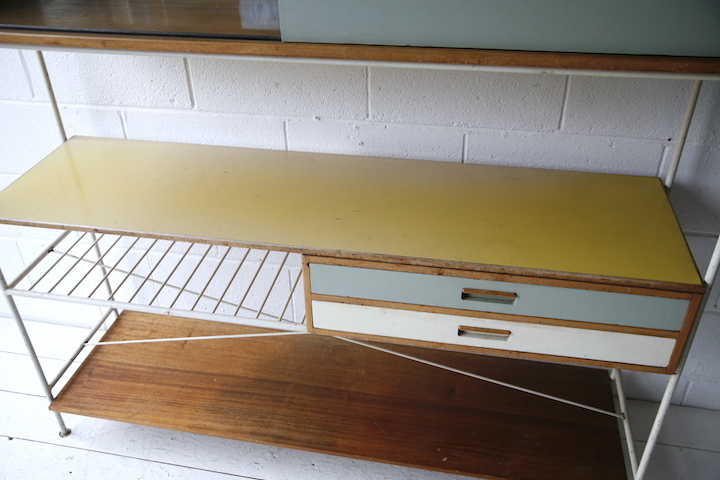 In good vintage condition with some age related wear, such as fading to the formica and marks on the wood.